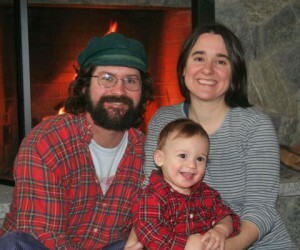 David Wichland, Jr. has been growing mushrooms since he returned to Keene, NH in 1999. Over the years, Dave has attended numerous courses from the world renouned mushroom expert Paul Staments and other informational festivals such as the Telluride Mushroom Festival. Combined with hundreds of hours of personal research, trials and errors, David has come to teach his own educational workshops throughout New England. In addition to teaching, David recently constructed a new mushroom grow house to up production for his small mushroom facility at Wichland Woods. He currently sells wild-forged, locally grown, and exotic mushrooms and related products at the local Keene Farmer’s Market and via mail order. David still lives in Keene with his wife Jenni who helps with the business during her summer break as a teacher and his son, Henry, a future mycological expert.